Rossiya Airlines, a part of Aeroflot Group, will receive 20 Sukhoi Superjet 100 (SSJ 100) in the period between 2016 and 2021. These aircraft will replace 15 larger and older Airbus A319 narrow-bodies, according to the presentation for investors prepared by Aeroflot. The parent Aeroflot is now in discussion with the SSJ 100 manufacturer Sukhoi Civil Aircraft to firm up its preliminary order for 20 aircraft of the type. The airline already operates 30 Superjet 100s delivered under the initial contract. The letter of intent to expand the order was signed in January 2015. The plans to add Russian-made regional aircraft to Rossiya’s fleet was initially announced in April this year by Aeroflot’s general director Vitaly Saveliev. He said then that about 10 aircraft out of the option would be for Rossiya. According o the latest information Aeroflot may ink a new SSJ 100 order before the year-end. 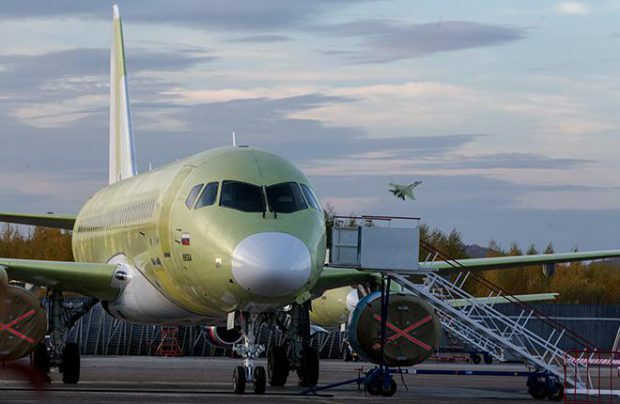 Saveliev has mentioned recently that the delivery of the 20 aircraft was planned for 2017-2018, but the final schedule had not been settled by then. Rossiya now operates a fleet of 59 aircraft – 26 Airbus A319s, five А320, 15 Boeing 737s, six Boeing 777s and seven Boeing 747s. The airline’s fleet should grow to 78 aircraft by 2021, says Aeroflot’s presentations.